Yesterday the government announced amendments to Efic’s lending ability to better support small and medium-sized Australian exporters. These changes are consistent with the government’s focus on deregulation and reducing red tape, and will allow Efic to support SME exporters more efficiently and cost-effectively. This decision complements the work that Efic has done this year to make it easier for SMEs to conduct business through standard form documentation, reduced turnaround times via a new accelerated execution process and lower minimum support thresholds. Efic will gain new flexibility to lend directly to SMEs, which will help to reduce the substantial administrative burden and financial costs they face when accessing finance from Efic. The current process of having two parties, Efic and the bank of the client, involved in financing these transactions means Efic’s support is less efficient and more costly to SME exporters due to the additional processing time and duplication of fees and charges. 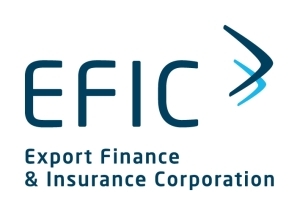 The enhanced capacity will allow Efic to lend for the export of all goods, not just capital goods, through a proposed amendment to the Export Finance and Insurance Corporate Act. This will allow Efic to service more SMEs efficiently and expand the pool of smaller exporters that will be eligible for financial support. Reflecting a recommendation of the Productivity Commission Efic will no longer support resource projects located in Australia (and related infrastructure). This decision will only have a small impact on Efic’s future operations, as the current strong liquidity in global capital markets has meant that such projects continue to be difficult for Efic to support on market gap grounds. Our Structured Trade and Project Finance division will continue to support resource projects overseas, as long as the project has significant Australian content, including through SME participation. “These enhancements to our ability to lend are a strong endorsement by government of our mandate to provide financial solutions to exporting SMEs and those SMEs in an export supply chain,” said Andrew Hunter, Efic’s Managing Director. Posted in EFIC and tagged EFIC, Finance, SME. Copyright © All rights reserved. Australian Export Assist Pty Ltd.